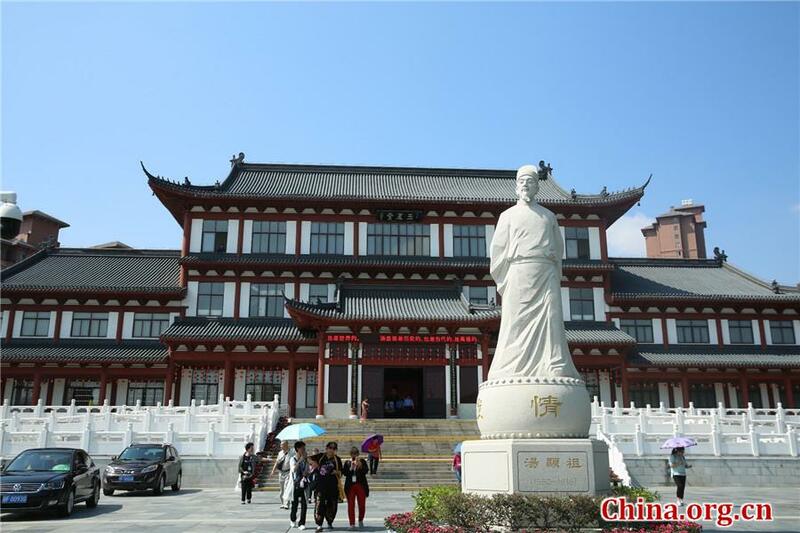 The city is holding a series of events to pay tribute to Chinese playwright Tang Xianzu from Sept. 28 to the end of October, with an aim of strengthening international cultural exchange. 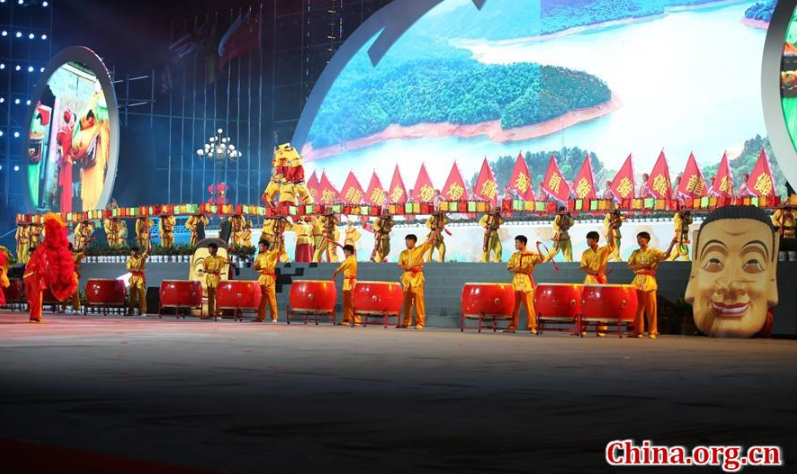 The opening ceremony of the Tang Xianzu Theater Festival and International Theater Exchange Month — a series of programs to pay tribute to Tang Xianzu and to strengthen international cultural exchanges — was held in the renowned Chinese playwright's birthplace of Fuzhou, Jiangxi province, on Sept. 28. Fifteen performing arts troupes from China, the U.K., the U.S., Spain, France, and South Korea performed at the opening ceremony of the theater festival, staging masterpieces such as Tang Xianzu's "The Peony Pavilion," Shakespeare's "Romeo and Juliet" and Spanish opera "Carmen." Tang lived and worked in Jiangxi province during the Ming Dynasty (1368-1644) at roughly the same time that William Shakespeare, the great wordsmith and playwright, was active half a world away in England during the Tudor era. They were contemporaries whose works remain popular and are still performed today. Tang composed more than 2,000 poems and essays, of which he is best known for four plays — "The Purple Hairpin," "Record of the Southern Bough," "Record of Handan," and "The Peony Pavilion." Tang's stories, which for centuries entertained his fellow countrymen, nowadays delight audiences from around the world visiting in his hometown, where the international theater exchange programs are held.